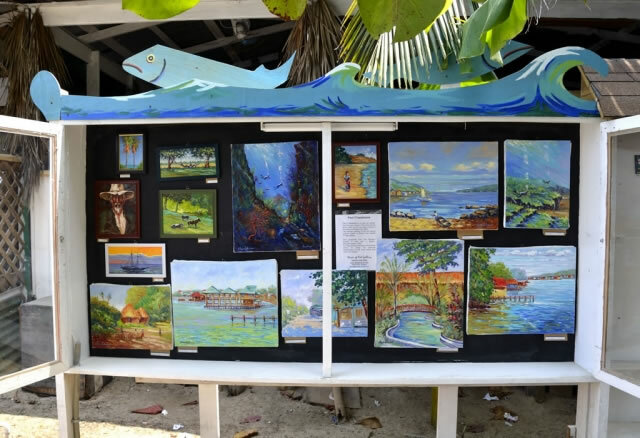 Paul Chapdelaine is a well know artist in Tela and Roatan. But, I did not know that, until I walked by what I thought was a street painter (you know, like the kind you see in parks and boulevards in the big cities) and met the man. At first, I took out my camera and asked if I could take some photos of him painting. He nodded “yes” as an agreement and I snapped a few shots. I wandered on down the sandy road of West End and on my return walk, he was still there. I wanted to get to know this painter better, so I asked him to tell me a little about himself. As he talked, I saw the colors of his life in his words and I knew I wanted to know more. He then let me see his house, where he showed me the colors of his life’s work. It was a sight to see. 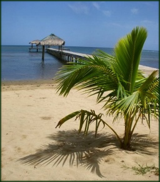 I asked him if he would write an article for www.Roatan.ws. He was pleased to do so and within a couple of days he had a hand written selection ready. We went to Waves of Art and talked with Michele Braun, who confirmed what Paul had written and showed me several paintings he had on display. 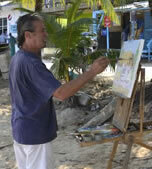 Paul Chapdelaine is truly a part of the colors of Roatan and it is a great privilege to share him with you! I made my splash as an artist in 1994 in a sleepy town called Tela, on the North Coast of Honduras. It is still the same. I didn't’t come as a teacher, but as a full timeartist. I saw a desire and need within myself to learn the arts, especially through the younger generation. After six years in Tela and a small following, I felt I needed to make a change. After all, I need to have support to stay put. All artists need this, or we move on and that’s just a fact. It's opener, out there, in the wide, open air.